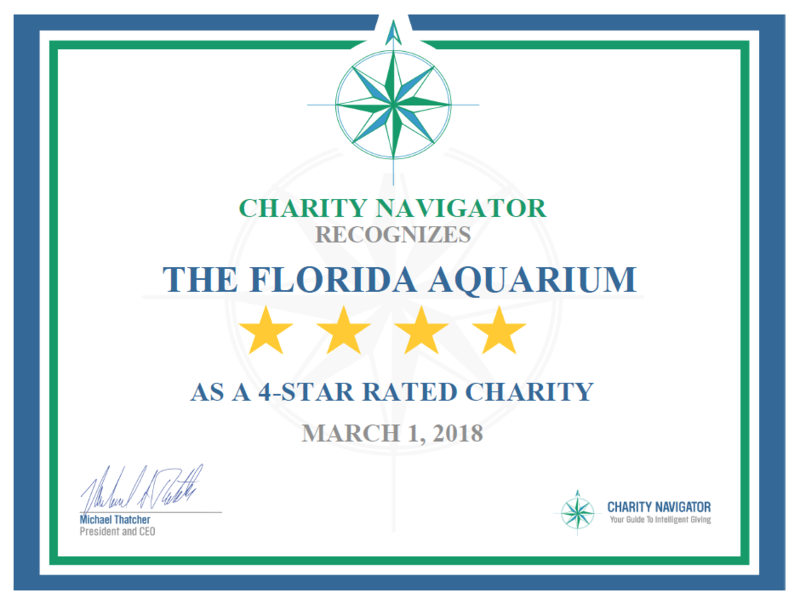 The Florida Aquarium, a nonprofit organization, was recently awarded a 4-star rating by Charity Navigator, America's largest and most-utilized independent evaluator of charities. The coveted 4-star rating, the highest possible rating, is only awarded to the most fiscally responsible organizations.The Florida Aquarium is among the top ten highest rated aquariums in the U.S.
Charity Navigator, which rates about 8,000 charities on a zero-to four-star scale, considers various financial statistics as well as transparency and accountability metrics as a way to give donors a better picture of how a particular charity performs over time and how accountable and transparent each organization is about how its funds are spent. For more detailed information, please see charitynavigator.org. Donations may be made to The Florida Aquarium at flaquarium.org/donate.